When I saw this cookie cutter in the Fancy Flours catalog, I knew immediately that I must have it. Because we're friends. Because I trust you have embarrassing pictures in your photo albums. Because this outfit must never be recreated. I'm going to show you a picture of when my sister & I had our picture taken with one of the statues. I know. The year was 1988-ish. This orange and white fiasco was my FAVORITE OUTFIT. (I'm not even kidding.) What you can't see? I completed the look with orange lipstick and nail polish. Oh, and the HAIR!!! Totally high-as-the-sky mall claw in front, crazy highlighted curls in a triangle shape the rest of the way around. Lovely. I was so deep in thought, wondering if I should share that picture, I forgot to take pictures for a cookie tutorial. Luckily, it's a simple outline and flood with royal icing. I used AmeriColor Super Red, Deep Pink, Soft Pink & Electric Pink. And, here's a link to the cookie cutter again. and possibly a shredder for all photos from the 1980's. I've only seen these sculptures in photographs. I did not know that there were so many around the world. Perhaps one day I'll actually see one IRL. Great cookie Bridget. Love all the shades of pink with the red. Wow these cookies are BEAUTIFUL!!!! Absolutely adorable, and so nicely done! LOVE these! :) Beautiful, as always! The cookies are adorable. My hair hasn't changed much from the '80's - curls and big hair can't be helped when it grows that way. This is perfect timing...I JUST had this cookie cutter delivered to my doorstep yesterday! 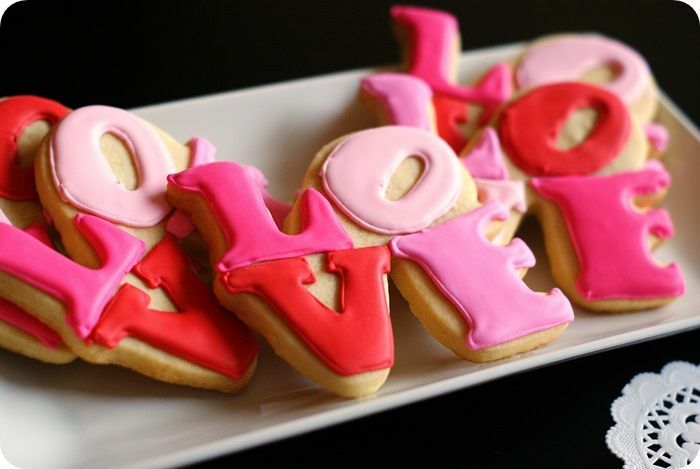 Love your cookies! great story and beautiful cookies! Cute cookies and OMG love the 80s photo!!! OMG Bridget, I think we're about the same age so I can totally relate to that big-hair picture. However, I think you look adorable! Thanks for sharing! UNITS!!! Yes! I've thought about blogging about UNITS before and wondered if anyone would know what I was talking about. Remember those weird triangle cut-outs in the underarms?!? And those stretchy belt thingys? Yes all i need is love. Aww, what a cute picture! Seriously. You were totally rocking it as an 80s girl. I had a very similar outfit and very similar hair. I think my favorite, though, is the white socks and shoes. These cookies are so cute!!! I had hair like that!! :)And the outfit makes me smile. I remember that look. Funny how it looks like pjs now. Aww, Bridge! 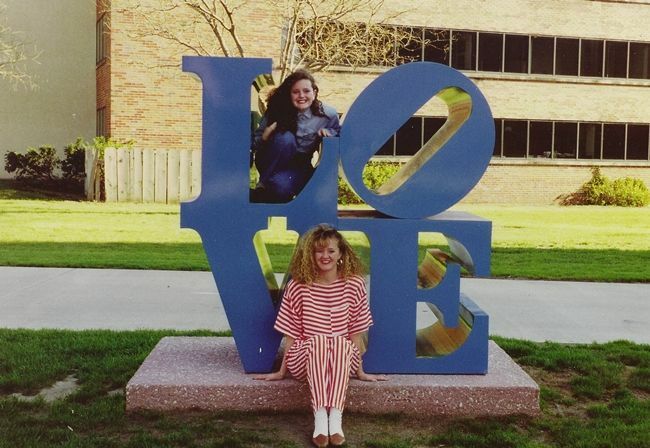 Thank you for sharing the picture of you and your sister posing by the LOVE sign. Too cute for words! And, your '80s hair. Well, I didn't have naturally curly red hair like yours. My strawberry blonde hair was (still is) straight. But! That didn't stop me from having my mom braid my hair while wet before bed, or use a crimping iron, to create that extra poofy look! Always had to do it before Saturday night roller skating sessions for some reason. Later, I had perms done and they were called "body waves" back then, LOL. Thanks for the blast from the past, girlfriend! xoxo P.S. Oh! 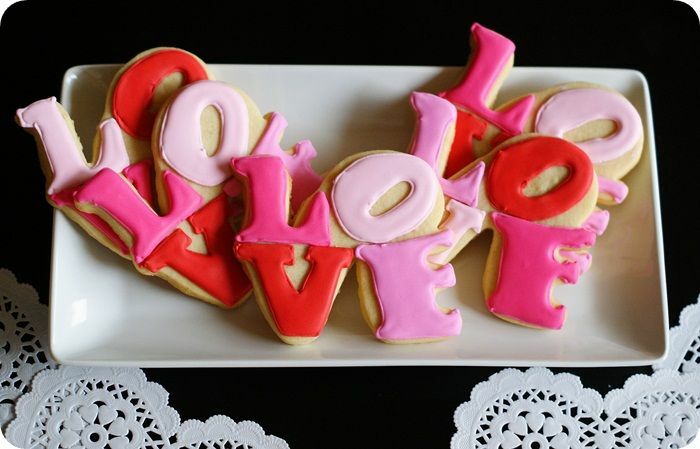 The decorated cookies are just as adorable as you were in the '80s! I LOVE you and your 1988 self. Only because I pretty much had the same exact outfit...and hair...and well, white socks and brown flats. I get it. You know, I love the outfit and the hair. Fashion in the eighties may have been ridiculous, but my goodness, it was fun! Oh, and cute cookies, too. I really like this cookie. I really need to start learning how to decorate cookies, but I'm too cheap and lazy to buy a rolling pin so I can cut out cookies. :P Plus I would need cookie cutters, and all of those are back at my house, not with me at college. I love your 80's outfit :) I remember having quite a few gems back then too! I'll have to practice my piping skills a little bit more before I take on a cookie like this! Very fancy. Bridget, You are too funny, and I think you look adorable! That was the 80's and there's nothing we can do about it:) I just LOVE your cookies, and the colors! I've got some photos I could shred from the 80s! Too funny! Thanks for sharing. oh you crack me up!! thanks for sharing your cute little self! and LOVE the cookies! the go perfect with my February wallpaper! Oh that is the best picture!! I love everything about it! I'll have to tell you sometime about the real Fancy Flours store. I've been there! It's in Bozeman Montana. I still remember the adorable window display. It was love at first site! You would love it! LOL. You know, the 80s were *totally* ridiculous (said with not a twinge of Valley-girl accent, I swear) but I'm so glad they were MY years to be ridiculous in. :) I'm amazed at how HIGH I could get my bangs to go in high school, especially considering how annoyed I get with how my thick hair hangs so flat on my head nowadays! They must have put lacquer in hairspray back then. 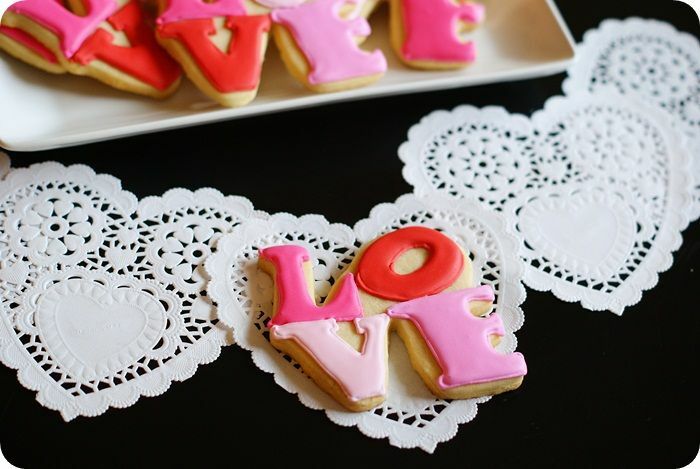 Anywho, I love all your cookie creations, and even though I've been too busy to do any cookies lately, am feeling inspired to create some for Valentine's Day now. I am sorry !!! But I love your 1988's look ! Hahaha oh, the 80s! You still look completely adorable in that outfit though, so no worries. 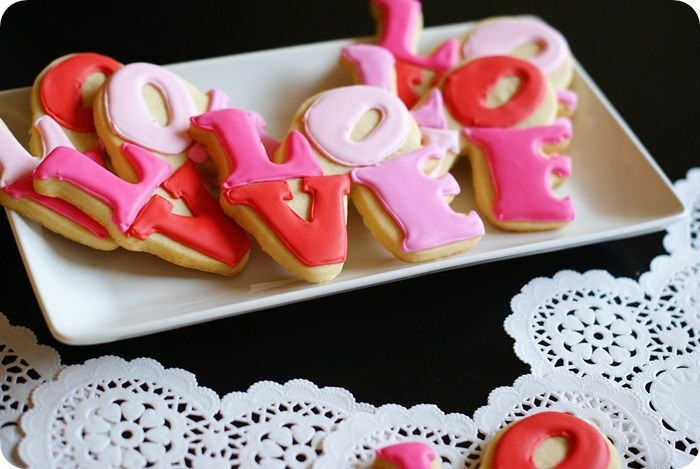 :-) And, these cookies are adorable as well - I just love them! !